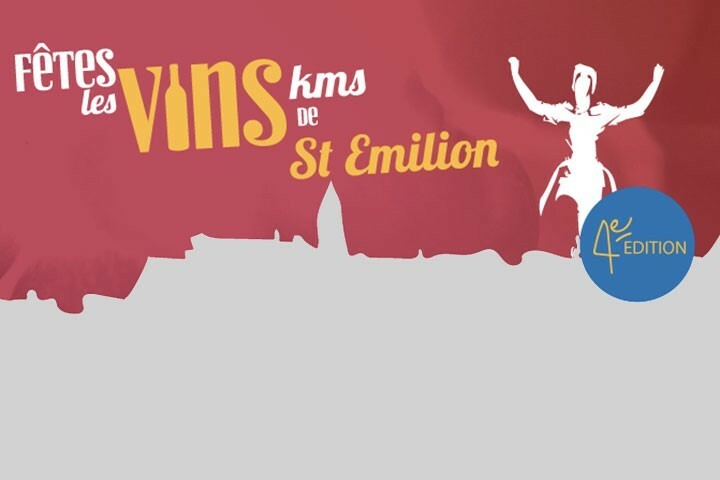 Sunday 10 March 2019, runners will meet at Saint emilion for the 4th edition of “Les vins km de Saint Emilion”. All the proceeds will be go to to Brain research. 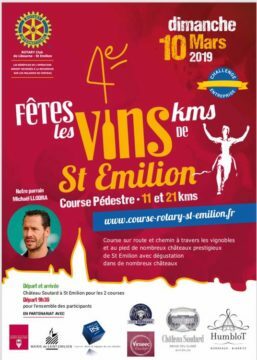 This event is organised by the Rotary Club de Libourne Saint-Emilion. Volunteers from NBA (Neuroscience Bordeaux Association) will be there to help the organisation. 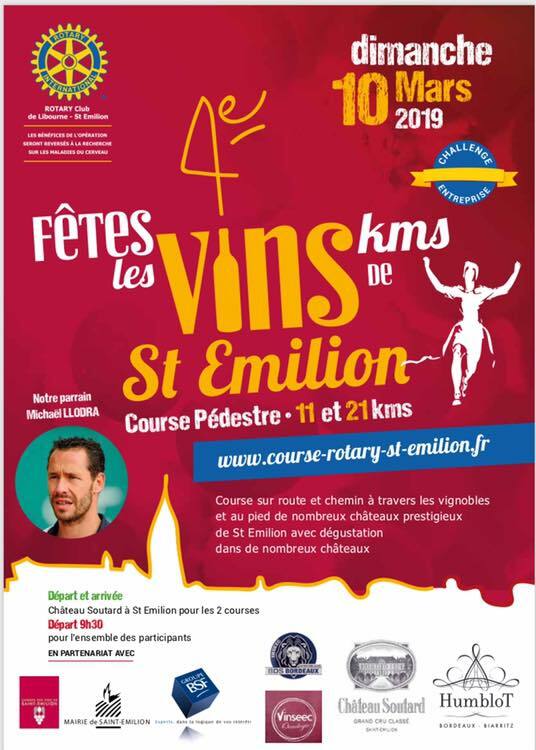 You are a member of Bordeaux Neurocampus and will run?